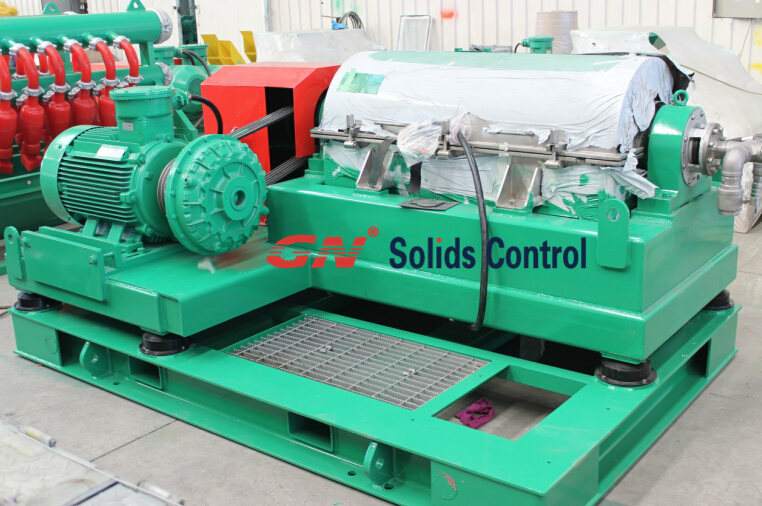 The flowmeter and the liquid level switch are installed on the lubrication station of the centrifuge; the flow rate of the lubricating oil is monitored, and the shutdown protection program is started when the liquid level is low. A feed flow meter is installed at the feed end of the centrifuge to monitor the feed flow rate of the centrifuge in real time. 7, the feed pump requires frequency conversion. The feed pump is a variable frequency controlled mud pump. The speed determines the flow rate and the motor speed can be adjusted to control the flow. 8.1 Main bearing temperature protection: The main bearing is installed with a thermocouple to measure the temperature, the temperature reaches 85 degrees alarm, and 95 starts the shutdown protection program. 8.2 Vibration protection: The vibration switch is installed on the body. When the vibration is greater than 7.1 mm / s, when the vibration is greater than 10 mm / sec, the shutdown protection program is started. 8.3 Torque overload protection: When the torque of the motor is greater than 90%, the flow rate of the feed pump is automatically reduced. When the torque of the motor is greater than 110%, the shutdown protection program is started. 8.4 Lubricating oil level protection: When the liquid level is low, the centrifuge starts the shutdown protection program. 8.5 Start interlock protection: There is a start and stop interlock protection program in the PLC program. The start can only start the auxiliary machine first, then start the main machine, then start the feed pump; stop it can only stop the feed pump first, then stop Host, then stop the auxiliary machine. 8.6 Motor temperature protection: When the motor temperature is higher than the set alarm value, the alarm is displayed on the HMI. When the motor temperature is higher than the set stop value, the shutdown protection program is started. When the material is blocked, the current and torque will be overloaded. At this time, the PLC and the inverter will start the automatic stop protection function.